Wine, Olive Oil, Free Cookbooks and oh yeah - a TOP CHEF INTERVIEW! | The Food Hussy! Wine, Olive Oil, Free Cookbooks and oh yeah - a TOP CHEF INTERVIEW! Some days - you're hanging out at work - and you get a really fun surprise - well Friday was that day for me! 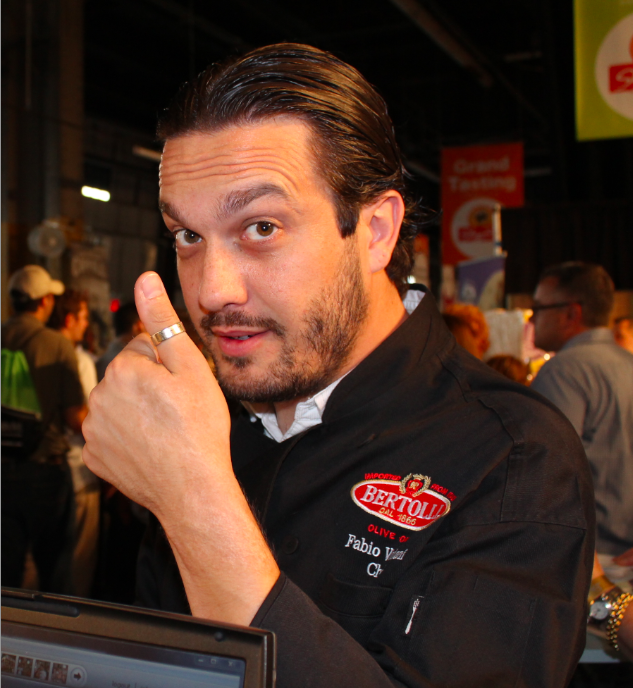 A representative from the upcoming Cincinnati Wine Festival contacted me and said that Top Chef's Fabio Viviani would be at the festival with the Bertolli Olive Oil booth and asked if I'd like to do an interview with him. I found out quite a bit in a quick 15 minute call - and have been bursting all weekend to share it with you! Be sure to read through - there are free e-cookbooks and cooking shows with Fabio you might not know about! FH: Thanks for chatting with me Fabio – I can easily say – you’re my favorite Top Chef contestant ever! What are you up to? FV: I'm watching a Godfather marathon - it doesn't get any better than this! FV: Never been - looking forward to it! FH: You’ll be cooking in the Bertolli Olive Oil booth – what fun things will you be cooking up for the ladies of Cincinnati? FV: I'm bringing meatballs to Ohio! It will be simple food, family stuff, nothing fancy – very simple! FH: Since you are in town for a Wine Festival – what’s your favorite wine? FV: Chianti or a cabernet. My favorite is Santa Margarita Chianti Classico. I love a good wine – when I can get through a bottle by myself – that's a good bottle. Who wants to open a bottle of wine and only drink one glass? If I can see the end of the bottle - it's done it's job! FH: Cincinnati has its own share of culinary treats - which of these do you think you'd like the most? FV: Definitely NOT the chili - my ex-wife is Greek - no Greek food for me! So I'll go with the first one and the ice cream. You can bring some to me in the Bertolli booth! FH: How do you balance being a reality tv celebrity with your restaurants and now these piling endorsements? FV: I do not think of myself as a celebrity - I just got to be on tv for a little while. I'm an average guy who apparently America loves - it's good! 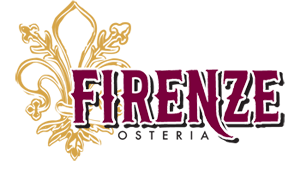 FH: With your crazy busy schedule - how much time do you get to spend in your restaurants (Cafe Firenza & Firenze Osteria)? This has been a question I've always wondered with the celebrity chefs! FV: I go to the restaurants whenever I’m in town, but I'm very lucky that the people I put in place don’t need me in there. I can work on the business no matter where I am. I’m still working on dishes and coming up with new things. I'm always cooking and coming up with new recipes and then bring them to my restaurants. FH: Would you ever do Top Chef again? FV: Probably not Top Chef but definitely something with Bravo! FH: Do you still get to see some of the other all-stars? Like your bromance buddy Richard Blais? FV: We’re all so busy – but we don’t get together too much. When we do though - it's a great time! FH: Was Padma always drunk? FV: That is a...(looooooooong pause)...I don’t think she was ALWAYS drunk! FH: Tell me a little about your free e-cookbooks? Where can we find them? FV: FabioViviani.com. I have a free cookbook once a month. FH: Why are you giving away cookbooks? Not too many chefs do that. FV: I’m giving away one cookbook a month - because I’m awesome! I like to do stuff for my fan-base because they deserve it. FH: What’s next for Fabio? FV: Right now I'm shooting the second season of my online show – Chow Ciao. It's the #1 online lifestyle show on Yahoo! FH: Now - on your online show - is this stuff I can I make at home? FV: Of course – it’s me you're talking to you – not Bobby Flay! And remember every Monday it’s a new episode!!!!! I just watched the Perfect Steak and learned at least 3 things - in 6 minutes! Love it! I can't wait to watch the rest of them - and try making "the perfect steak" tomorrow! FH: Well thanks for your time Fabio - hopefully I'll be able to bring you some Graeters at the Wine Festival. FV: You better - just call my cell - I want the ice cream! There are all sorts of great things happening at the Wine Festival - so be sure and grab your tickets and say hi to Fabio for me!